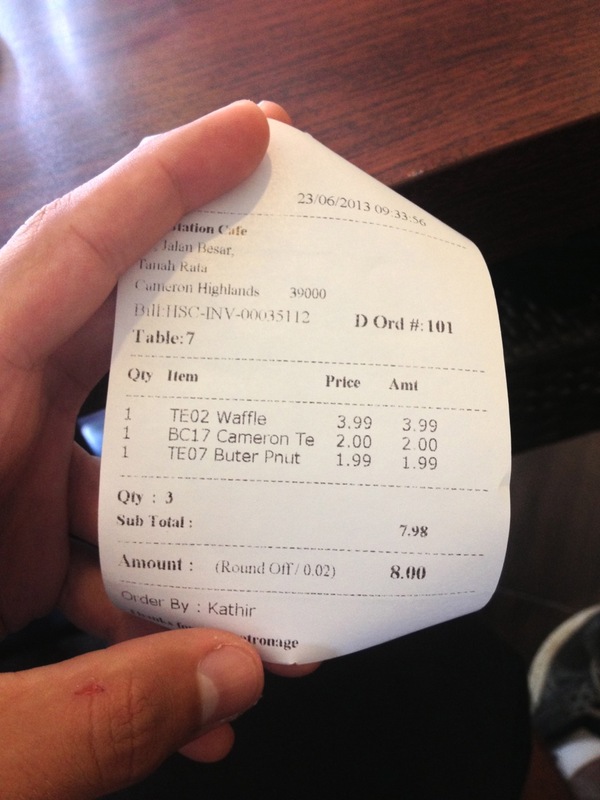 Monopoly Money – Malaysia has bills that are green, blue, orange, and red. Dinner was extra fresh this night. I couldn’t tell you the exact name of this dish, but it was noodles (go figure) with 4 shrimps, some weird looking black sauce, and a few pieces of hotdog. George Town, Malaysia. 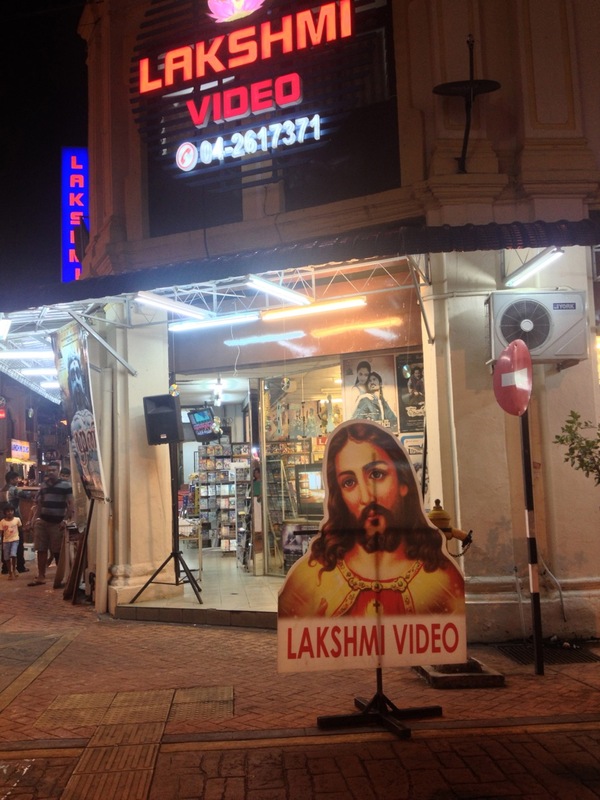 Jesus is hawking videos in little India. I have no idea. Unicorns! 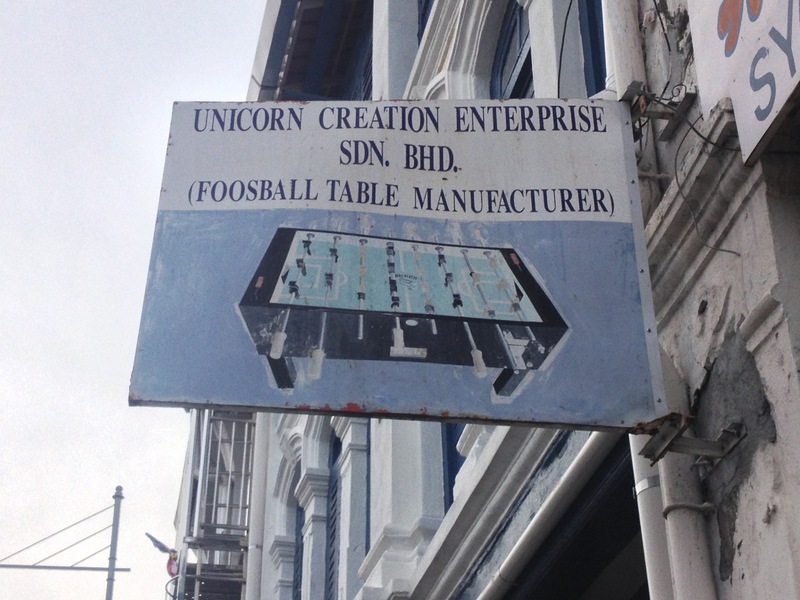 Apparently made in the same place as foosball tables. 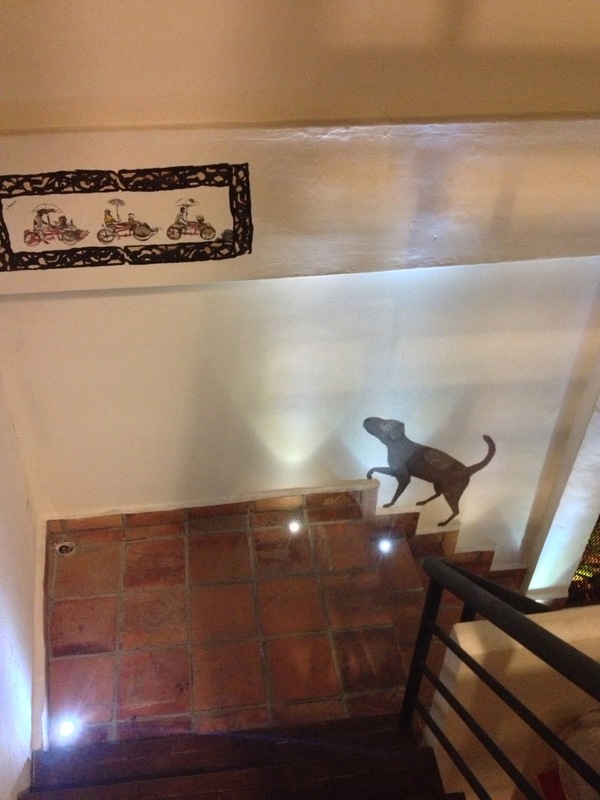 Syok Hotel artwork (George Town). One of the nicest dorms I’ve ever stayed in. I don’t know who I love to hate more – people like this or people who use iPads as cameras. Bathroom Rules. 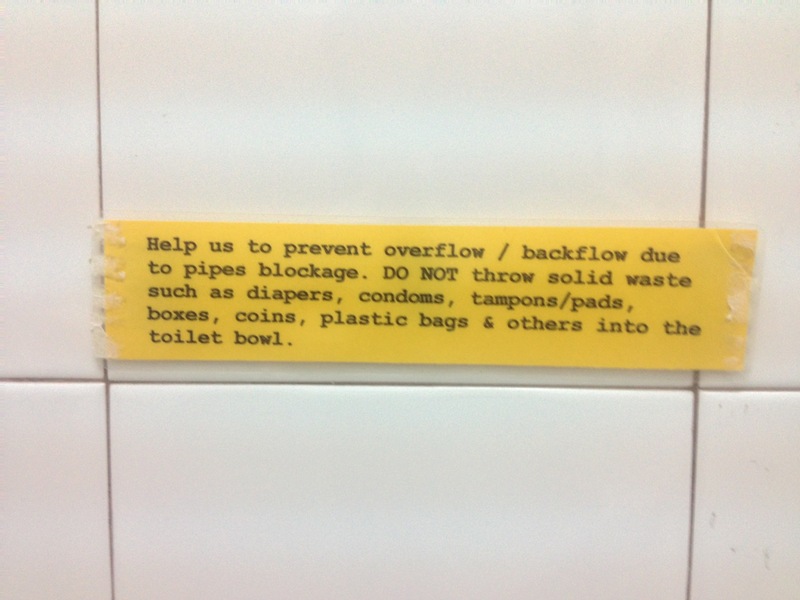 Who throws coins in the toilet? 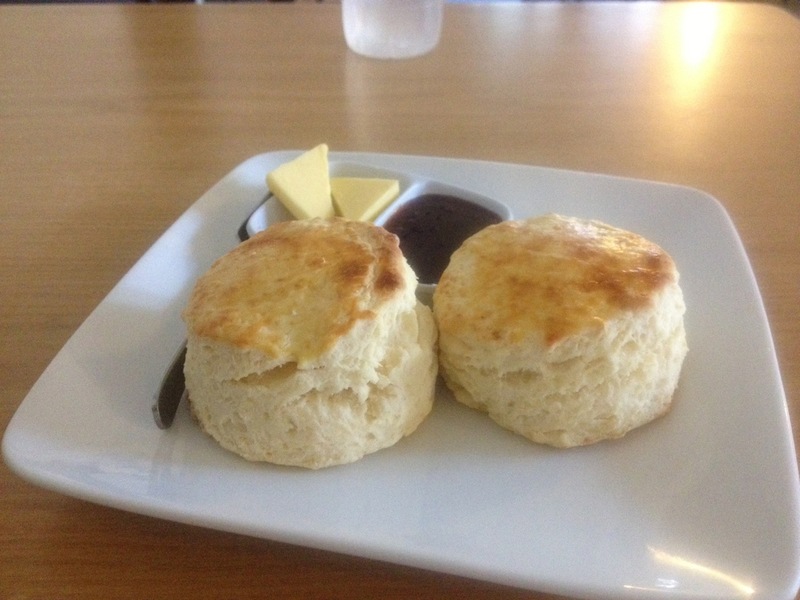 Guest House in The Cameron Highlands made fresh scones. They look like biscuits to me. Ironically if you said that to a British person they would say that they don’t look like biscuits at all. English is a funny language sometimes. 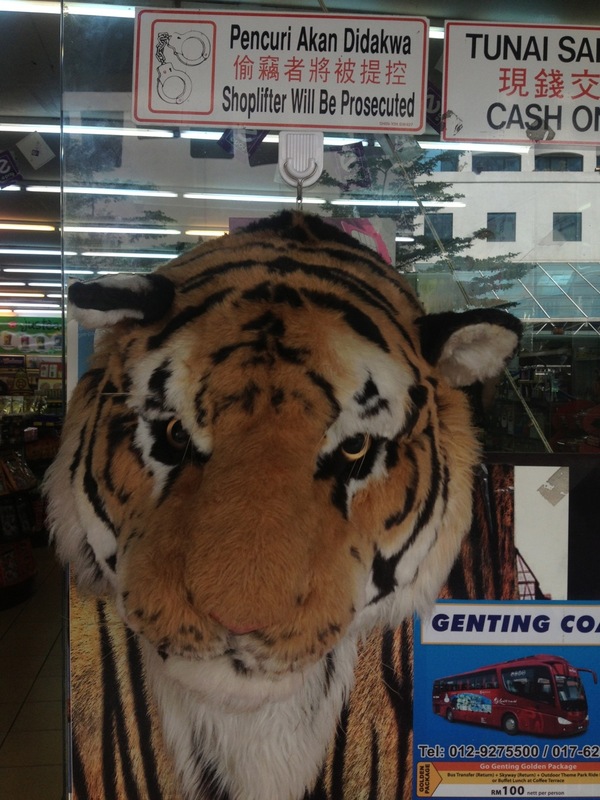 I don’t want to find out how they prosecute shoplifters, but I hope it involves a live tiger. 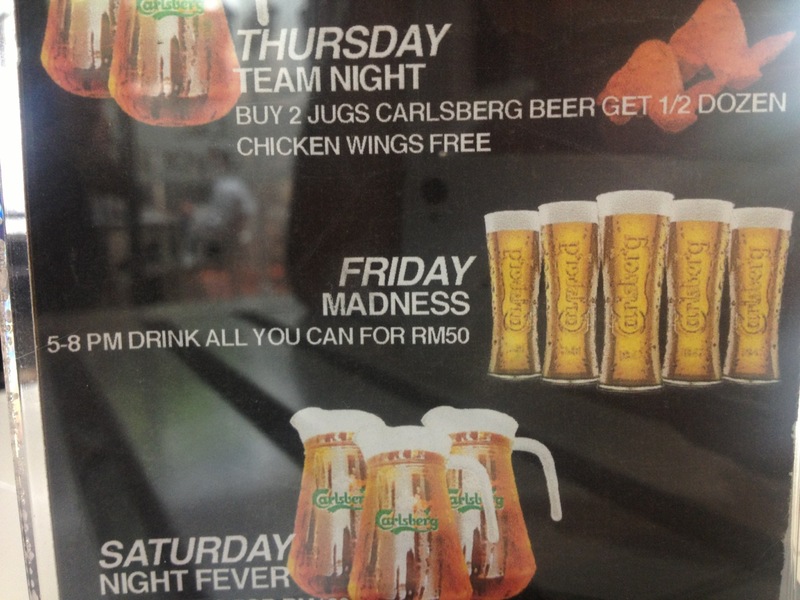 Possibly the highlight of Malaysia right here. 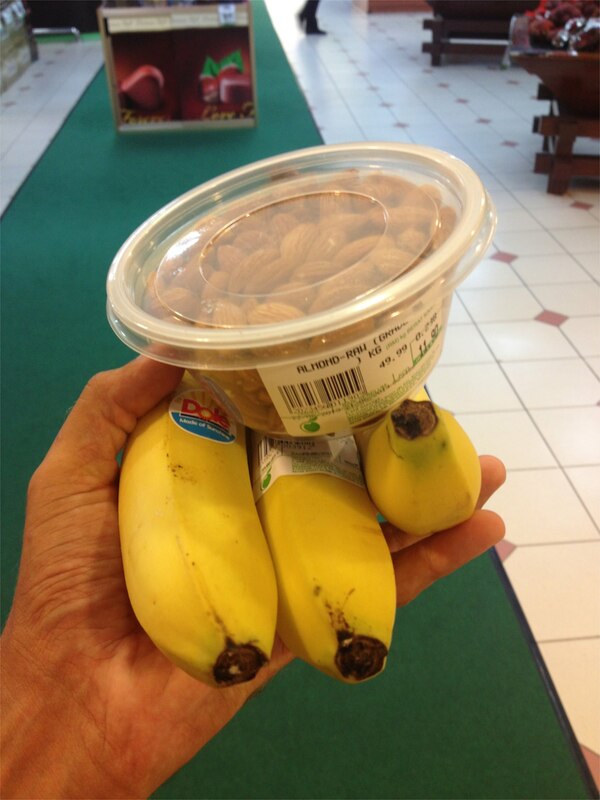 Raw almonds and fresh bananas (not the mini ones). Real. Spaghetti. Sauce. 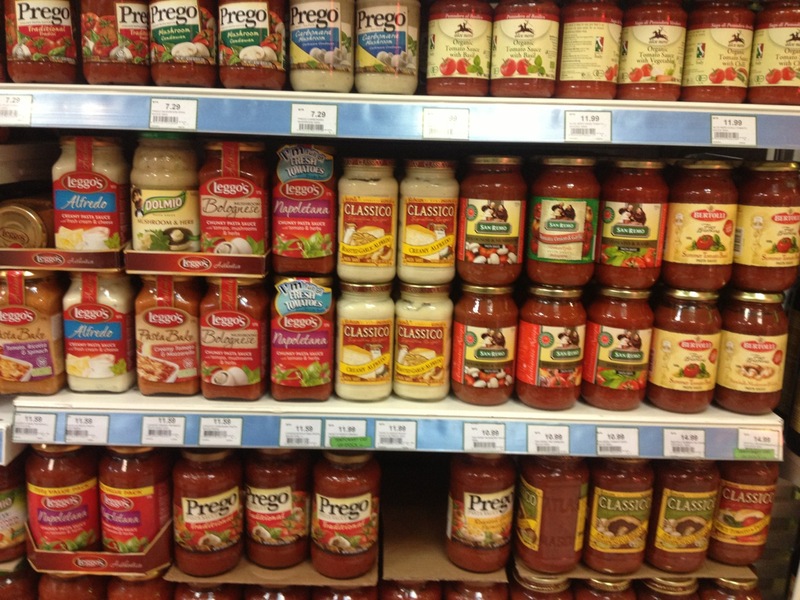 Not just ketchup like I came home with when I was living in Ukraine. 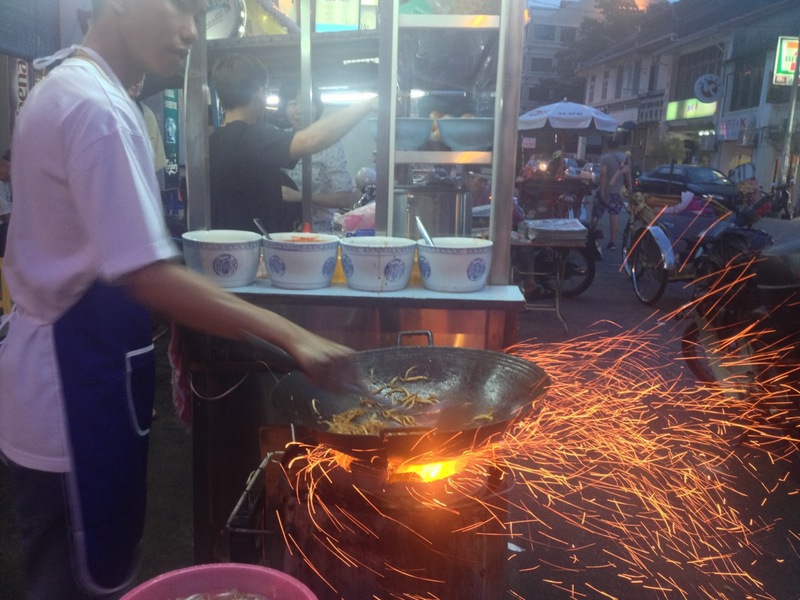 Found a really good Chinese place in Kuala Lumpur. 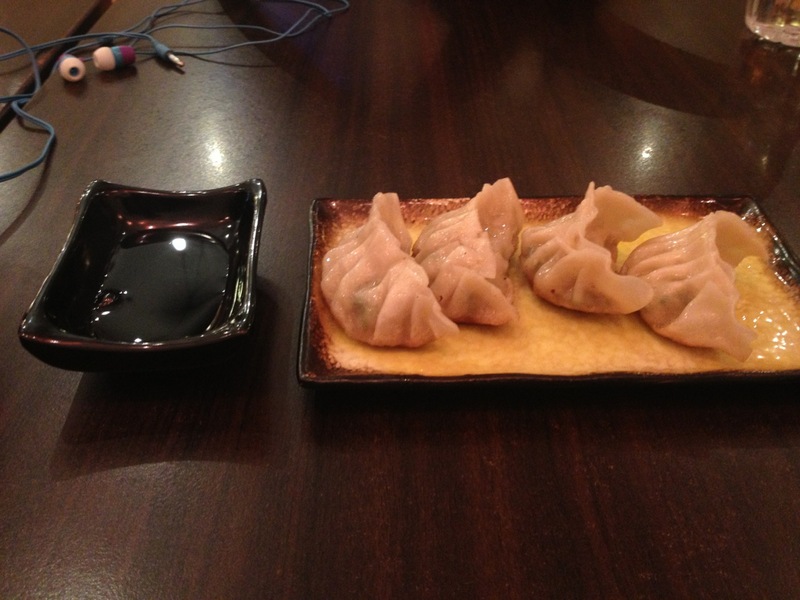 Dumplings for an appetizer. 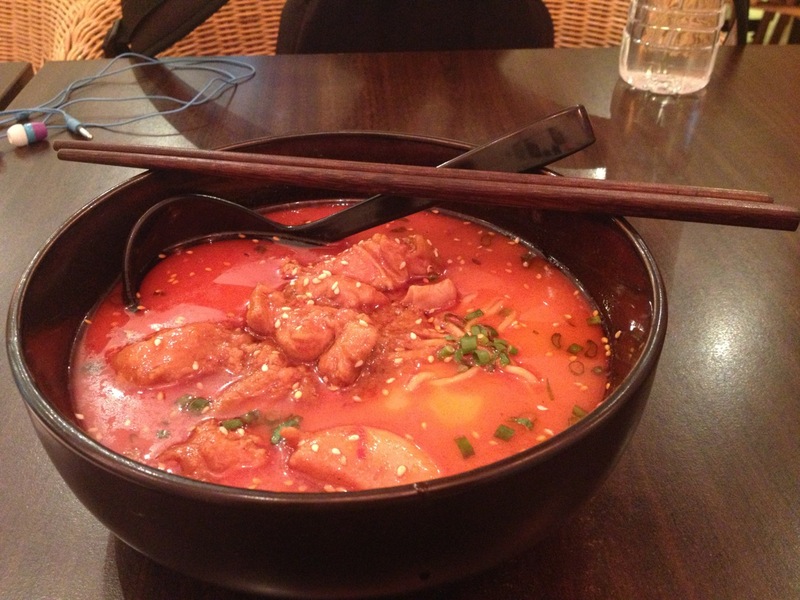 …and spicy fried chicken with ramen for a dinner. 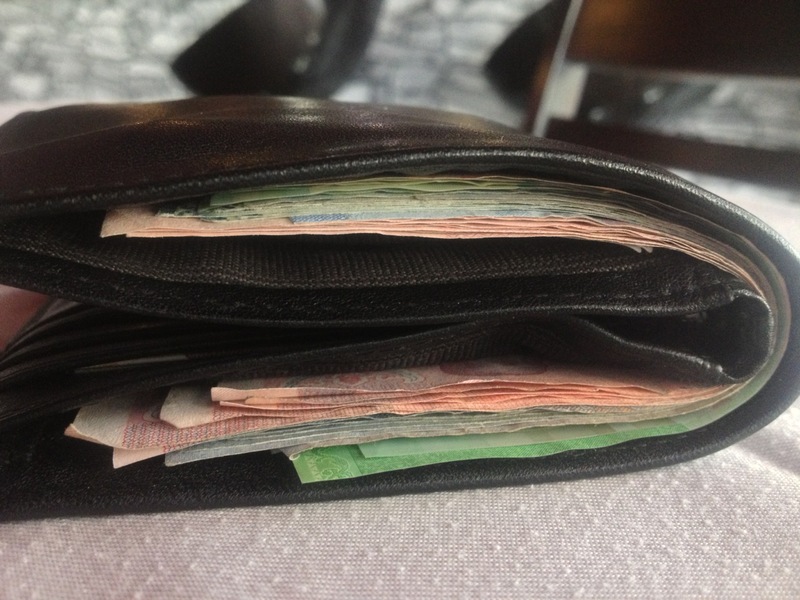 Buying these will automatically make you successful. If I had an office to put these in I’d be CEO. 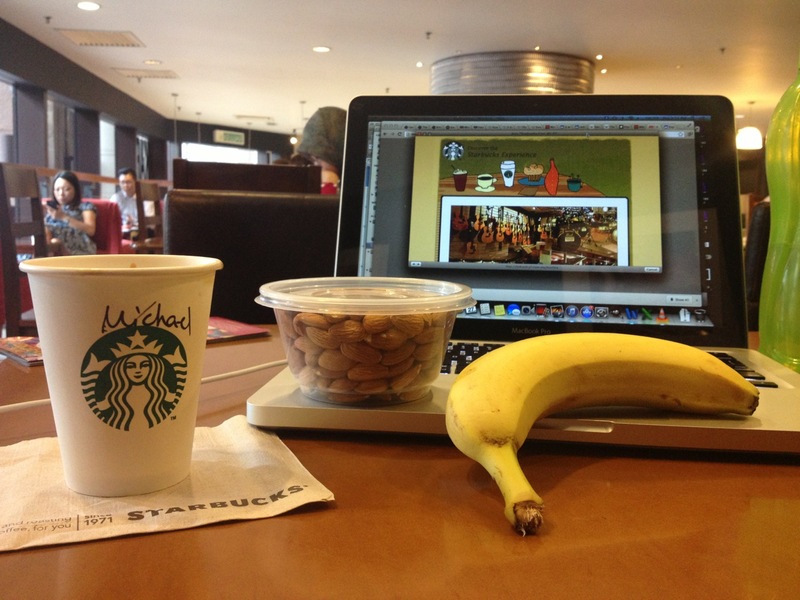 Starbucks. Bananas. Almonds. Double Espresso. Internet. Malaysia wins! 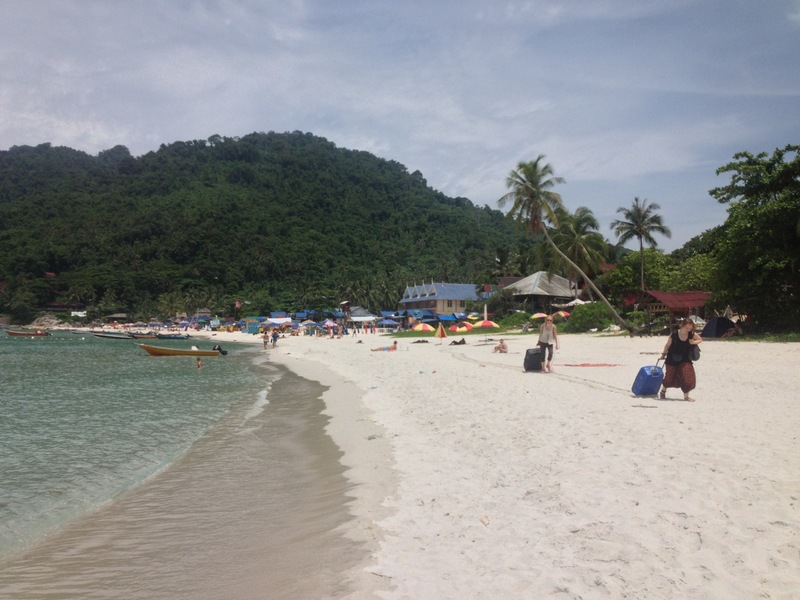 This entry was posted in Malaysia, What's up with Mike and tagged Backpacking, Cameron Highlands, george town, iPhone, Malaysia, Penang, Perhenthian Islands, Photos, Random Photos, solo travel, Syok Hotel. Bookmark the permalink. ← I missed my flight to Bali …on purpose. I need 1. a unicorn and 2. a success portrait. In that order. 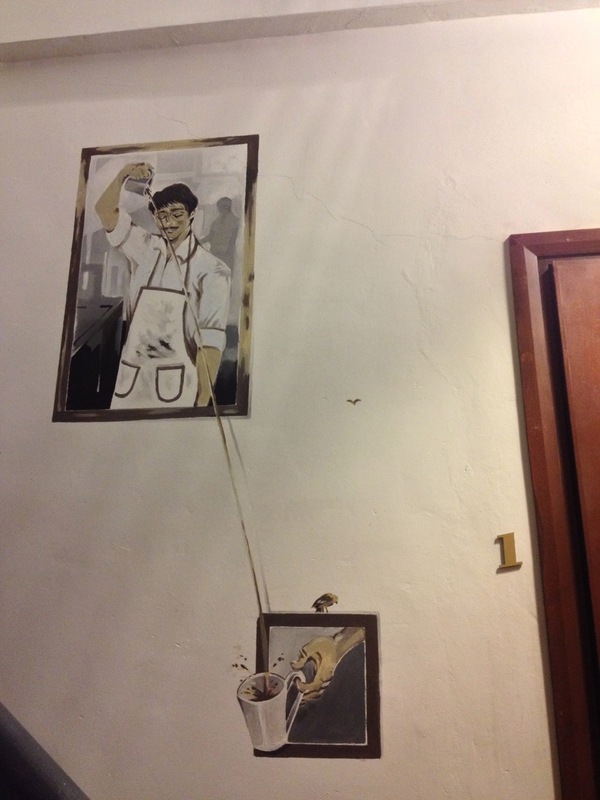 Loved the artwork in Georgetown, esp the one pouring the coffee. 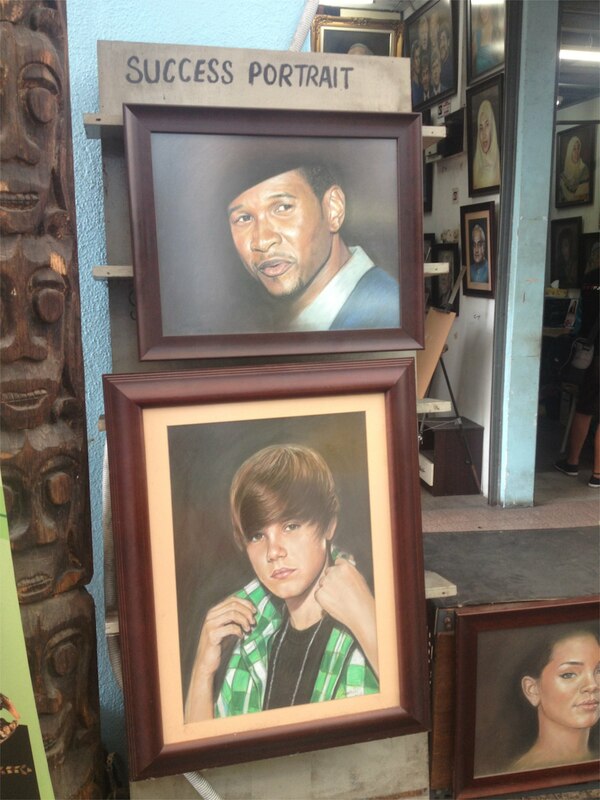 Sarah, I think you need the success portraits first, just saying……. Pat, what are you saying about my success?